I’m going to be honest with you guys, Spring is my least favorite season. I can’t stand the bugs flying around everywhere or the pollen invading every surface. Though I do like the pretty flowers, I’m still an autumn girl though and through. Despite not being a fan of spring, I love do love spring fashion and the pastel colors that are associated with the season. The items on my current wish list are inspired by the spring season and are perfect for these next few of months. Let’s get started! This item has recently graduated from my wishlist to an item now in my possession. I had been meaning to purchase a Victoria’s Secret kimono for quite a while, but I was waiting for the right color to be in stock. I had been eyeing some blush pink colors but they tend to sell out pretty quickly. This time, I was able to order this satin kimono in the millennial pink shade, which is the perfect color for spring! This kimono doesn’t contribute much to warmth so it is perfect now that winter is over and the weather is warm. This item is a bit pricey for a robe that doesn’t have much use, but I think that if an item makes you feel pampered, happy, and confident, it is worth investing in. When I saw this perfume on tumblr it immediately caught my eye, and not just because my name is on it. It's girly, pink, and parisian, so it’s basically me in a perfume. I don’t know what it smells like or if it even smells good, but I can’t pass up on a (pink!) perfume that's literally named after me! I’ve put off ordering this for a while because this item is very pricey, but I definitely plan to eventually order it. This frilly, pink perfume would be perfect to wear on a lovely spring day out on the town. I may have a tiny obsession with Ted Baker. Can you believe that I have yet to own a Ted Baker product? I genuinely think that Ted Baker purses makes the cutest handbags in existence. I especially love the purses that are adorned with a bow because they're super eyecatching and feminine. The color reminds me so much of spring, and this bag would compliment almost any spring inspired outfit. Ladies, don’t be afraid to treat yourselves to designer bags. Remember, life is short; buy the purse. This is a product that I have been meaning to purchase for years but keep forgetting about. 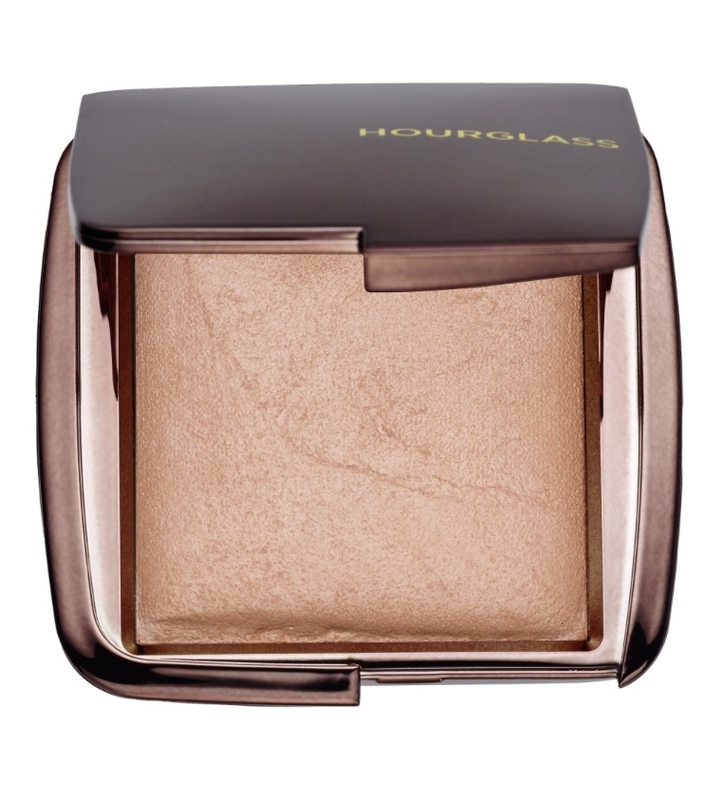 When it comes to high end makeup impulse purchases, I gravitate towards eye shadow palettes and tend to neglect Hourglass products. However, I can’t stop hearing about what a miracle product this is. It supposedly illuminates and brightens your face unlike any other finishing powder. The only thing deterring me from making this purchase right now is that I still have quite a bit of my Tarte powder left and I can’t justify spending so much on something that I don’t need quite yet. However, if you’re in the market for a good finishing powder, from what I’ve heard, no other product will give you that springtime glow better than this one can. I will definitely be purchasing this product in the future! I tend to romanticize Paris and parisian fashion, so I have always loved berets. 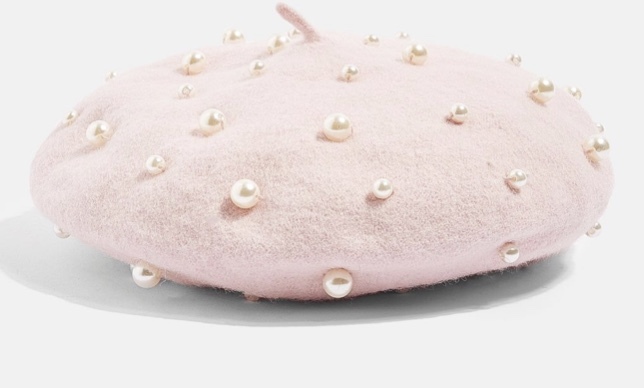 This pink beret from Topshop caught my attention when I started seeing it all over instagram. It seemed like everyone owned one of these and I’m guilty of following trends sometimes (hey, they’re trends for a reason, right?) However, when I went to purchase this, the beret was sold out. I even emailed Topshop and they did not provide any information on if this product will ever restock. Since I missed my chance on this product, I am still on the lookout for a good dupe! Please let me know of any suggestions you may have! Those are my current top five items on my spring wishlist. Do you own any of these items? What items would be on your spring wishlist? Let me know in the comments below!